The Blues Brothers is a cult classic for a reason. Dan Aykroyd and John Belushi's portrayals of brothers Jake and Elwood on the run from the cops, set against a back drop of catchy jazz and blues tunes, is one I've rewatched many times on rainy Sunday afternoons. They were criminals, sure, but they were also multi-talented showmen, and their charismatic performances were the heart and soul of the film. And with an extended set list and subtle nods back to the origin story, The Blues Brothers Summer Special at the Hippodrome could be one of those shows the famous band performed during their career. 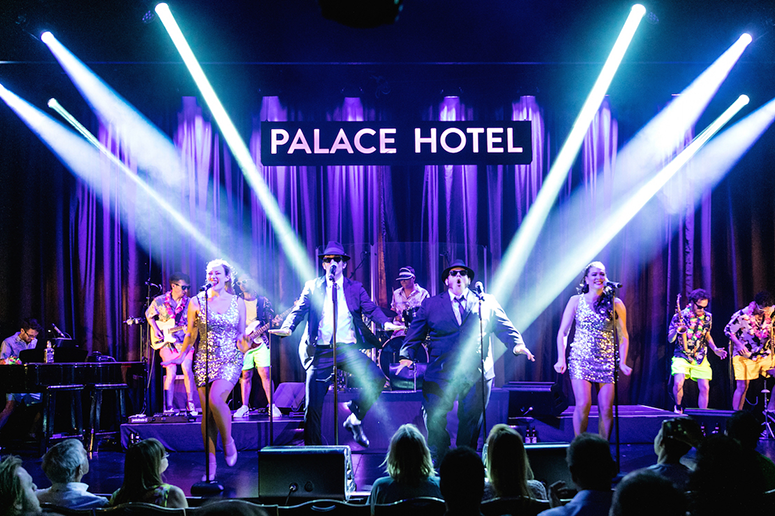 The Hippodrome Casino in London is an apt location for this show, as it's not far-fetched to imagine Jake, Elwood and the gang to wander the casino floors before taking the stage in the intimate gig room. Back in the day it would've been shrouded in cigarette smoke, providing a perfect cover for the Blues Brothers to hide out from the authorities. Nowadays the air might be clearer, but the space still has that atmosphere of decadence and debauchery befitting the characters. The Summer Special opens with Jake and Elwood taking the stage in their iconic black suits and hats, a briefcase handcuffed to a wrist and their tattooed names evident on their knuckles. After a brief introduction in true Blues Brothers style they start the show with a bang as they perform energetic renditions of the film's classic tunes such as Rawhide, Think and Gimme Some Lovin' interspersed with other crowd-pleasers befitting the band's repertoire like Under the Boardwalk, Let's Twist Again and Please, Please, Please. While described as a tribute act to the Blues Brothers, Dave Kristopher-Brown (Jake), Joshua Mumby (Elwood) and the band go a step further to transport the audience to the iconic world of the film with Dave as Jake taking out the harmonica on several occasions for some excellent solos and both brothers showing some excellent moves along the way. There are no back flips in a church, alas, but the stage was perhaps slightly too small for such acrobatics anyway. It's not just Jake and Elwood that steal the show during this concert, however, there are other standouts in the cast too, especially musical director James 'the Blues Mother' Ball on the keys, who is incredibly energetic busting some mean moves when he isn't setting the tone on the piano, and Arnold Mabhena, who takes on the Ray Charles and James Brown solos with gusto. The Blues Brothers Summer Special is a high energy blues show from start to finish. While I would've been happy enough to have the chance to hear the deep tones of Rawhide performed live on stage (and they sure did it justice, using a whip and everything), the entire performance is a brilliant bluesy gig. Though a few of the more summery songs don't quite fit the rest of the set, for the most part this is very much a concert emanating the original feel and score of The Blues Brothers. It's perfect for existing fans of the music and film, and if the unanimous standing ovation at the end is anything to go by, it's also one that even nearly three decades later manages to capture an entirely new audience. 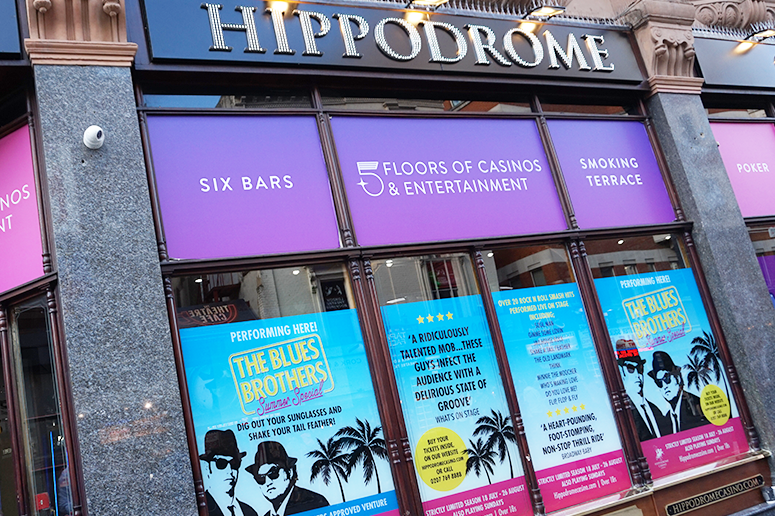 The Blues Brothers is playing at the Hippodrome Casino until 26 August 2017. Book your tickets here.